After a week of stormy weather, I couldn't believe our luck for the tune up Cowbell Coach had planned this weekend. 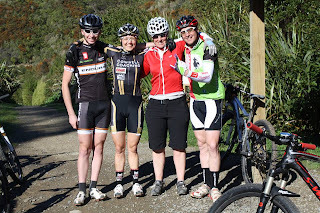 She masterminded a 13 kilometre route that replicated the Worlds course profile nicely, provided some of the rocky terrain we can expect Mt Stromlo to throw at us, and even arranged for Aussie sunshine to grace Karori all day long. It wasn't just me benefiting from Lisa's enthusiasm this weekend. Cantabrian Angus Petrie popped up from down south, student Ryan Hunt rolled down from his digs, and singlespeeder Charlotte Ireland hopped across from Eastbourne. I really don't know how Charlotte does it on one gear. But she does, admirably. 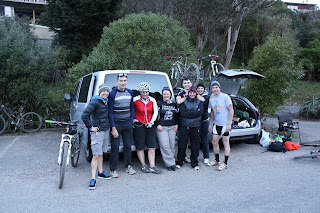 Between us we cranked out 28 laps, 364 kilometres and 12,250 metres of climbing. Charlotte's partner in crime, Tim Collinson joined us later in the day as well as Christchurch's hostess with the mostest, Michelle Peterson, who was visiting the capital city for the Trailfund NZ Conference. Both made their contribution to the "all in a day's work" kilometre count. Frequent visits to the summit reminded me how lucky I am to live in Wellington. 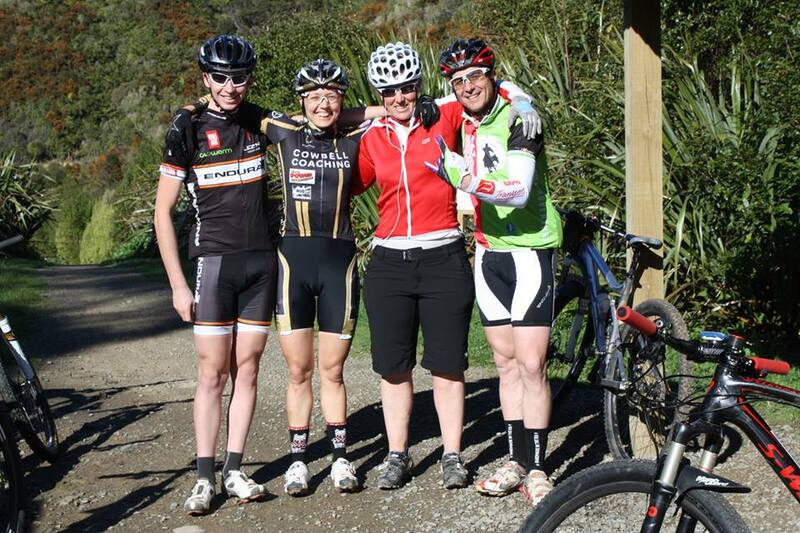 Makara Peak is a really great mountain biking location. * The views are spectacular and the trails are super sweet. I also had an hourly reminder of how lucky I am to have such awesome support. The week after a weekend spent crewing for a 12 hour race, Lisa gave up her opportunity to chill out on Saturday to provide us with a pit zone. Kat Sullivan rocked down from the Hutt to give her a much appreciated helping hand. Various friends who were out enjoying riding their bikes while soaking up the rays gave us big ups. Gus, Ryan and I all felt the love. 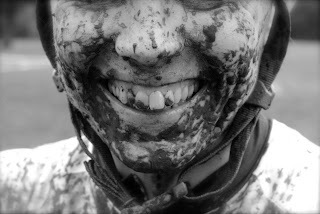 It's not difficult to stay motivated to keep pedalling in those circumstances! A wicked day on the bike was rounded off with an hors d'ouvre of some amazing smoked salmon (thanks Gus!). But before tucking in, on the way home we called in to watch the end of the evening's team cyclocross race that was being run as part Upper Hutt's Cycling Festival. I declined the offer to smash out a lap. It would have ended in tears (my own). We bumped into Alex "De Snor" Revell who was wearing a glorious white jersey adorned with a fern. Seeing him rocking a National Champion's jersey was the perfect end to the day. Talk about bringing a smile to a girl's face. For me, racing is increasingly becoming not just about enjoying the events you compete in but the journey before and afterwards, which includes the journeys of others. *Huge thanks to Makara Peak Supporters for letting us use the park all day long!